While most people hit the juice bar and gym hard in the new year (and I&apos;m certainly trying my best), January always makes me want to bake. 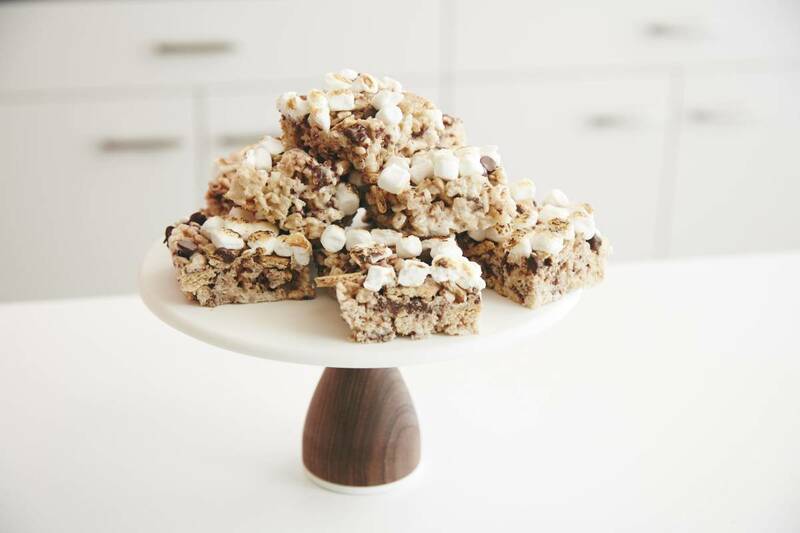 Rice krispie treats are a nostalgic fave, and this gooey version I made with Gaby of What&apos;s Gaby Cooking are the definition of "next level." 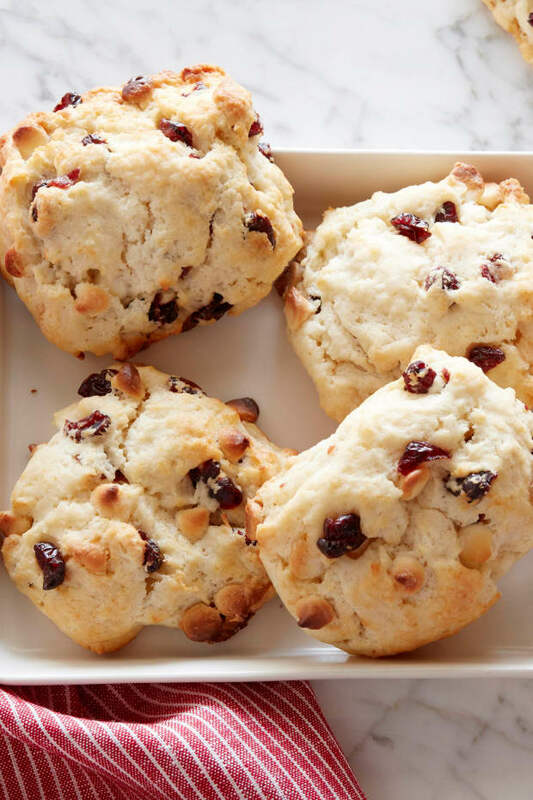 Gloomy weather, a pair of sweats, and a cup of coffee with these nearby pretty much makes a perfect winter day to me. Enjoy! 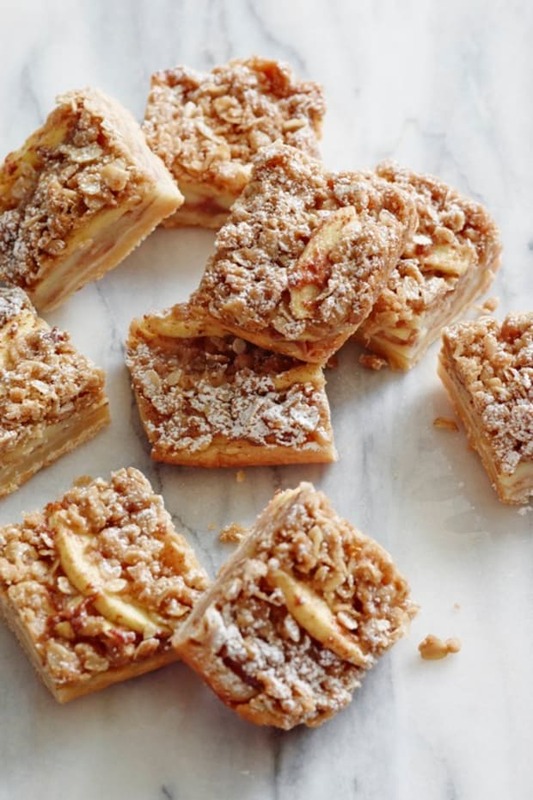 Who doesn’t love a Rice Krispies Treat? 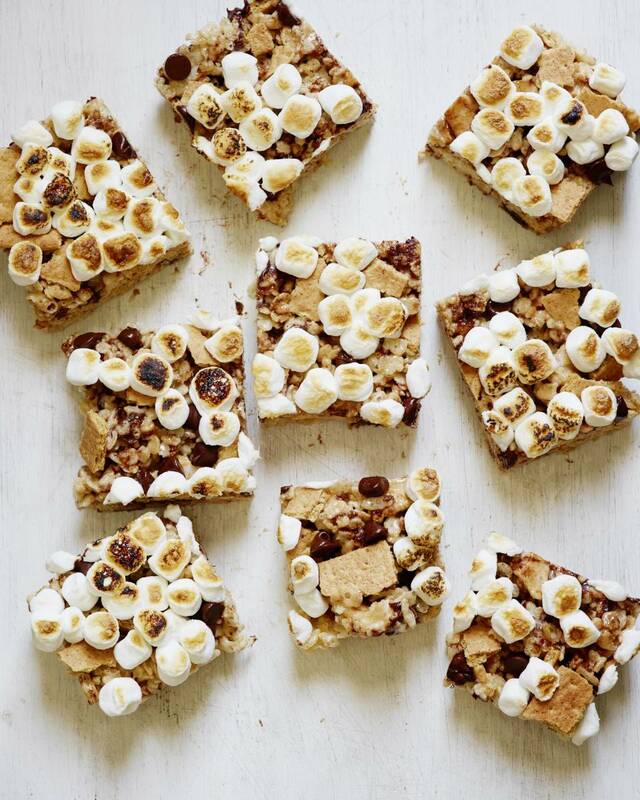 Better yet, one that’s loaded with chocolate and graham crackers and topped with torched marshmallows! 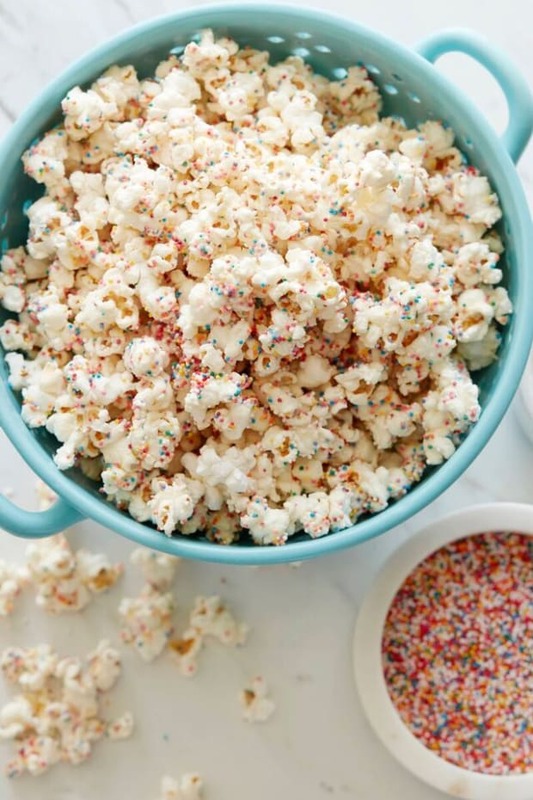 It’s a game changer and I love whipping up these super easy treats with things I consistently have stocked in my pantry. Hope you guys love them as much as I do! 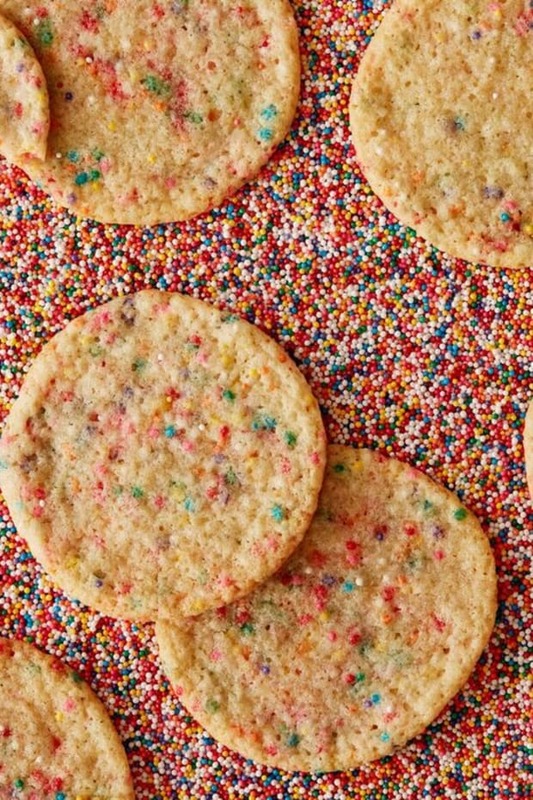 Using non-stick baking spray, spray a 8x8 baking pan and set aside. 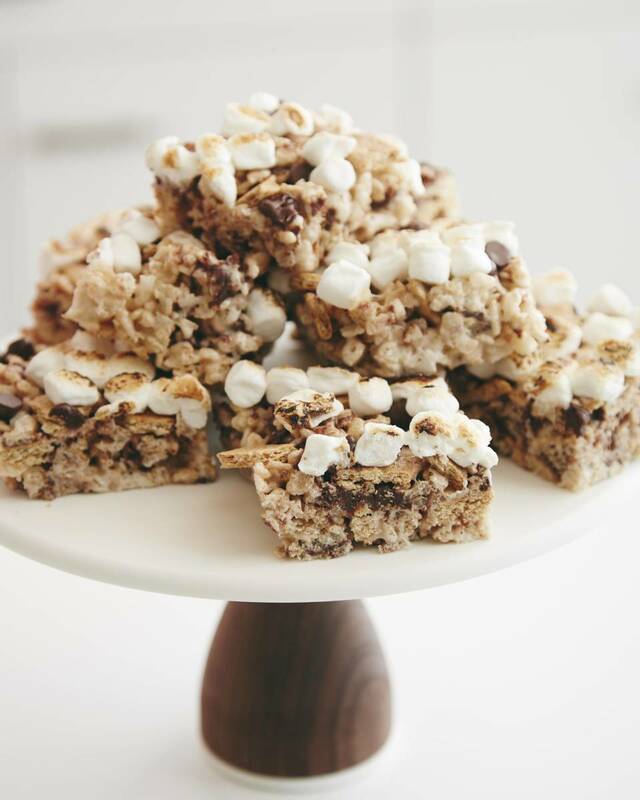 In a large bowl, combine the rice cereal, chocolate chips and graham cracker pieces. In a medium saucepan set over medium heat, melt the butter. Add 10 ounces of mini marshmallows and stir with the butter until smooth. Combine the marshmallow butter mixture with the rice cereal using a spatula to stir everything together. Transfer the mixture to the prepared baking pan and press into an even layer. 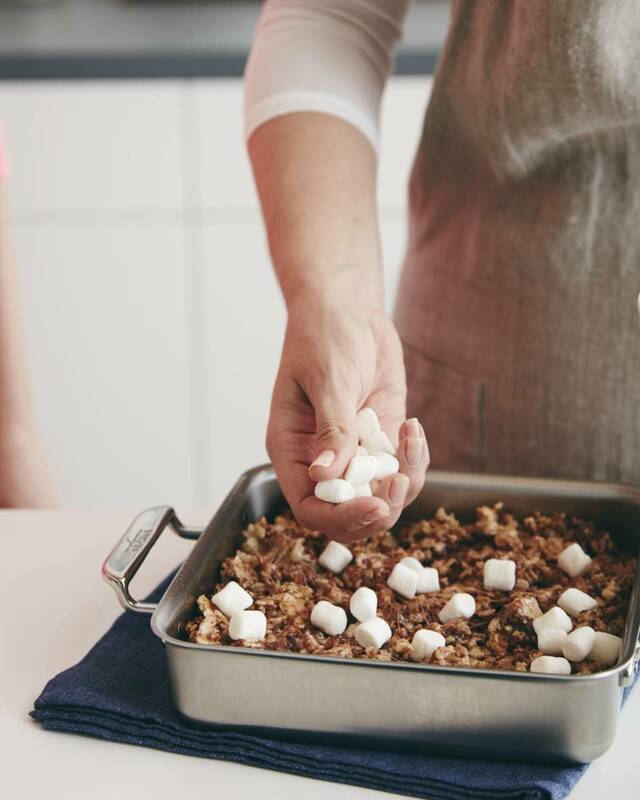 (To keep things clean, use a spatula that’s been sprayed with a touch of non-stick cooking spray to press the mixture into the pan) Sprinkle the extra 1 cup of marshmallows on top. Using a kitchen torch, toast the top marshmallow layer until just charred. Chill for 30 minutes before slicing and serving. 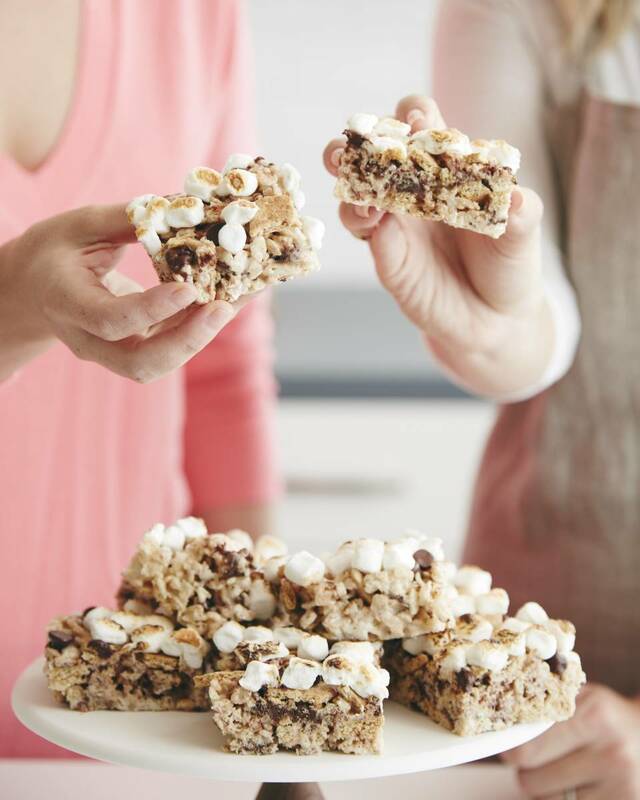 *If you don’t have a kitchen torch* Turn your oven to broil and place the rice krispies into the oven for a few seconds, keeping your eye on them, until the top marshmallow layer starts to get torched. Carefully remove from the oven and continue to let cool as instructed above.